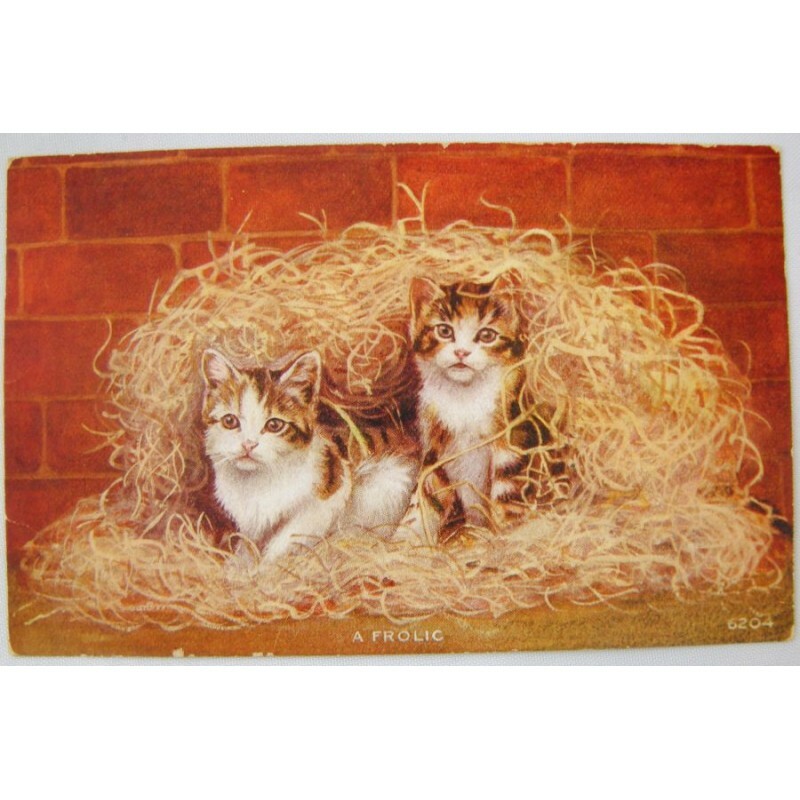 A sweet old postcard featuring two tabby cats or kittens in the middle of a wood shaving pile, a brick wall serving as the backdrop. 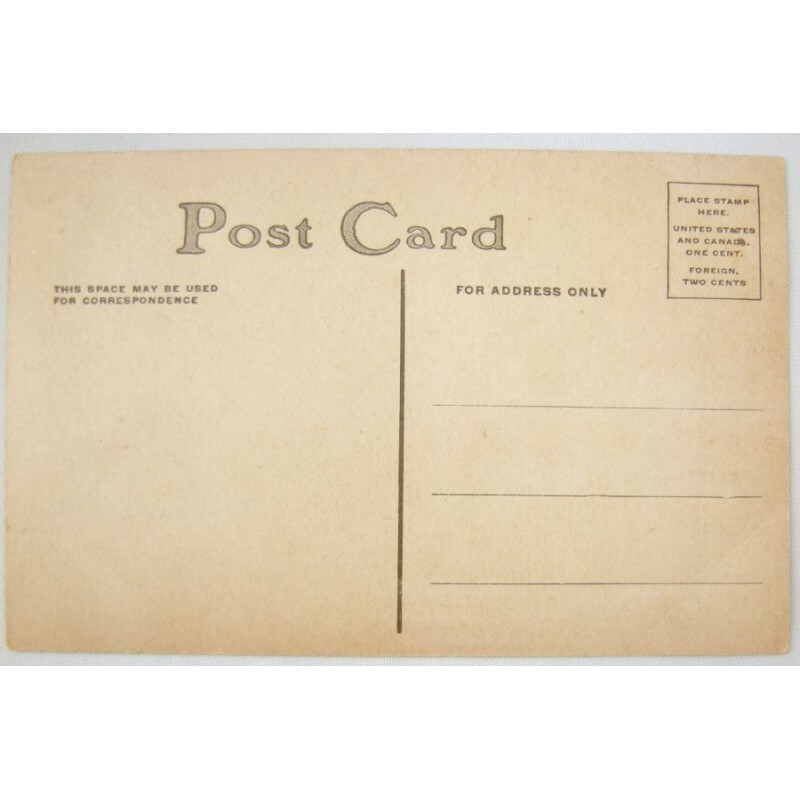 This postcard has a landscape layout and is entitled A Frolic, showing the image/design number of 6204 in the bottom right corner. Maker unknown, this postcard has a divided back and is postally unused. Measures 5-1/2 inch x 3-1/2 inch and in good condition, with some wear and specs of image peelings at the edges, and a crease in the bottom left corner.